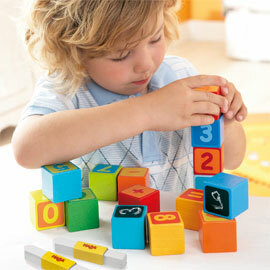 HABA 2409 - Discover numbers while building towers. 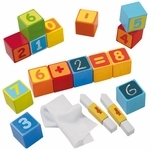 Set includes 15 wooden cubes, two of which you can write on, 2 pieces of chalk and a sponge. Cube measures approx. 1.5". Recommended for 2 - 6 years.